All of our teachers are passionate about music and the development of children. They create a fun, informal, social setting that spurs engagement and supports each child's musical development and are all Music Together® registered teachers. Liz is the Director/Owner of Musical Folk with locations in New Haven, North Haven, Branford, Cheshire & Woodbridge offering the Music Together program, ukulele and guitar classes. 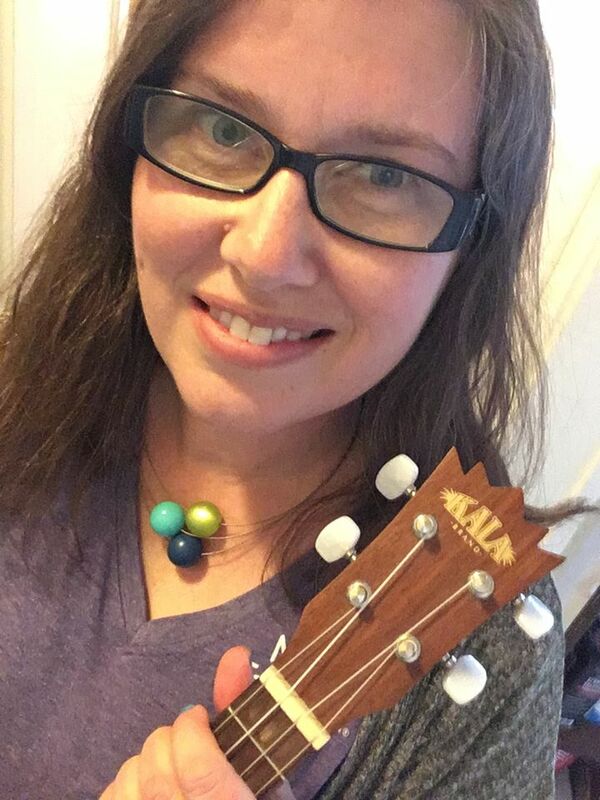 Liz is a native of County Meath, Ireland and now makes her home in Hamden, CT. Liz plays a variety of instruments, including guitar, ukulele, bódhran (Irish drum) and banjo and has recorded 3 CDs. She has a wonderful energetic and bubbly personality that you and your child will love. Liz has been involved with music her whole life, starting at a young age while living in Ireland and has continued her passion for music on stages here in the US. She is a well known folk/celtic singer and has sang throughout the US with the Acclaimed Irish Traditional all female group “Cherish the Ladies”, and now has her own folk band here in the CT area called "The Crickstones". Liz was assistant manager at Memorial Sloan-Kettering for 10 years, where she gained immense experience during her tenure there & also worked at Music Together of Fairfield County managing their office for 5 years. Her business experience combined with her passion for music & The Music Together Program allowed her to open Musical Folk in New Haven County where she now gets to make music everyday. For more information on Liz's band visit www.lizmc.com. Christina joined the Music Together family after participating in the program for two years with her son, Cooper. His enthusiastic response to the Music Together songs and the positive impact on his emerging vocabulary and musicality has brought such joy to their family music making. Christina now enjoys making music with Cooper and her daughter, Cecelia who has benefitted from constant music-making from birth! Prior to her adventures as a mom of two (and havaing a child with special needs), Christina spent nine years in arts administration and fundraising at Long Wharf Theatre. Music has always been a part of her life - singing in choirs from elementary school through college, musical theatre performances, church choirs since childhood, a dozen years of voice lessons, and sixteen years of performance with the New Haven Chorale. Christina is honored to teach the Music Together program and to share her love to music and singing with so many wonderful families! Jennifer moved to the New Haven area in 2011 after having grown up on Long Island where she started teaching Music Together. She has been playing piano since she was little and has added violin, marimba/vibraphone and guitar to her instrument mix. She headed to Western and then Central New York (SUNY Fredonia and Syracuse University) for her BFA in Musical Theatre and Masters in Music in Vocal Performance respectively. Jennifer has been a registered Music Together teacher since 2009. Jennifer's performance credits are varied, ranging from children's theatre (on Long Island and CNY) to opera (in the US and abroad). She started teaching, coaching and directing while still in high school and worked her way up through student teaching, consulting and adjunct faculty positions while completing her coursework and as a post-graduate. Jennifer also works as a voice teacher, accompanist and early childhood music educator with the Neighborhood Music School in New Haven. She also maintains her own private studio. Mostly she loves the music making ensembles and experiences of Music Together because of the spontaneity and genuine joy that comes from families being caught up in the freedom of musical activities. She has taken classes with her daughters and truly loves participating as a mom as well. While you're having fun being a silly music-maker, your child gets to fully experience how enjoyable music can be. And when your child is having fun, how can you not help but smile? Michele is delighted to be teaching Music Together with Musical Folk and is very honored to be bringing this exceptional music program to the community. She is a gifted singer and performer, and she has directed and performed with various singing and dramatic groups. Michele’s enthusiasm for teaching music to young children comes from a love of music, which was nurtured by her family when she was a child. She enjoys making music with her husband, Michael, and their three talented children. Michele is the Director at My Music Room in Wallingford where she provides music programs to several preschools, libraries, Family Resource Centers and for children with special needs. She is an In-School Specialist, able to provide the Music Together curriculum to preschools. 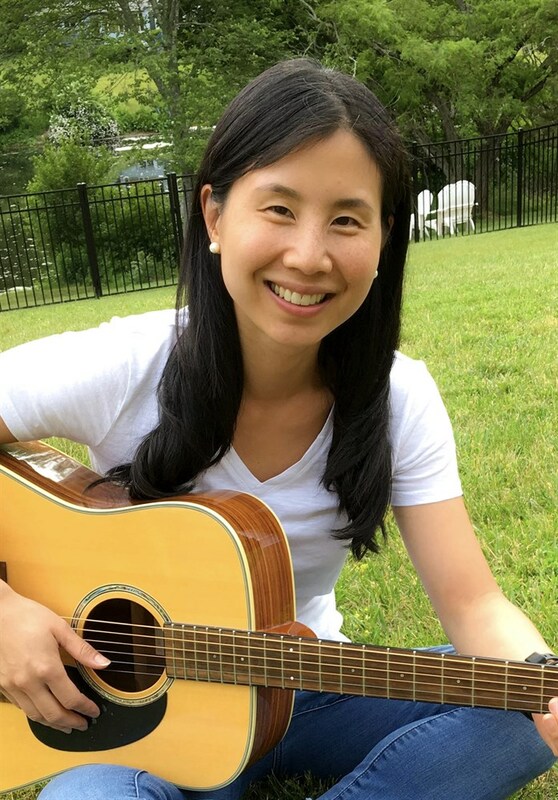 She was awarded Certification Level 1 in teaching mastery from the Music Together Center for Music and Young Children in Princeton, NJ for demonstrating achievement in musicianship, movement, parent education, and teaching the Music Together program. Michele teaches Music Together Mixed-Age classes and Rhythm Kids, Level 1. Jenny grew up playing the piano, but her love has always been singing. She sang and danced in choirs and musicals and then moved to New York City for college where she took voice lessons and performed in an a cappella group. After college, she earned a master’s degree in elementary education and became a fifth grade teacher in Philadelphia. Jenny brought her son to Music Together classes when he was just a few months old and they quickly fell in love with the program. Two years later, after her daughter was born, Jenny brought both children and appreciated the positive impacts it had on all of them. Music Together has enriched their lives through more than just music and movement; it has become a part of their lifestyle and it has introduced them to a wonderful community of friends. Jenny is excited to combine her teaching background with her passion for music. She enjoys playing the guitar and singing with her children and her husband Paul. Alexis is a passionate music educator and active operatic soprano in the New York City area. She is currently earning her doctorate in music at CUNY Graduate Center and has a Masters in Music from Mannes College. She earned her B.A. from Princeton University with a minor in Music Performance. In addition to teaching private voice and piano, she teaches in the music department at Brooklyn College. Alexis loves the joy that music brings to people of all ages, and the incredible way that Music Together brings children together to grow and learn in a shared love of music. 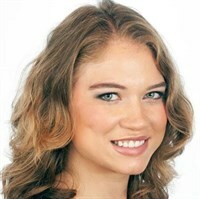 Alexis teaches Music Together in New York City and Connecticut. For as long as she can remember, Elise has been passionate about music. It has always been a part of her life; her mother sang and played guitar and her father always loved to dance. Her parents' old records were an endless source of joy for Elise, who spent hours immersed in the lyrics, rhythms, and harmonies of everything from broadway musicals and the big band era to the Beatles and Moody Blues. A natural performer and multi-instrumentalist, Elise began playing the flute 35 years ago and has since enjoyed studying and teaching music at all levels. Elise holds a Bachelor of Arts in Music Performance from Central Connecticut State University and has worked for twelve years as an early childhood music educator with Music Together and seven years as a Hebrew School Music Educator. Elise is committed to ongoing professional development in order to gain a better understanding of children's musical development, Music Together program philosophy, and ongoing research in the field. Elise regularly attends Music Together Songs and Skills workshops and was awarded her Certification Level 1 in teaching mastery from the Music Together Center for Music and Young Children in Princeton, NJ for demonstrating achievement in musicianship, movement, parent education, and teaching the Music Together program. Elise is thrilled to share her passion for music with children of all ages and their families. She also attends Music Together Rhythm Kids classes with her husband Jordan and their three children. She loves the way that making music as a family strengthens their family bond and how making music together with the families in her classes strengthens community bonds. Elise teaches Rhythm Kids, Level 1 and Ukulele begining in the Fall of 2018. Jacky has a Bachelor of Arts in Spanish from Eastern Connecticut State University and has spent extensive time living in Spain. She also has over 15 years of experience working with children, including tutoring math, science and reading to special needs children, nannying, and coaching multiple sports for children in grades K-3. Jacky has an energetic, creative, and bubbly personality that your child will love! When she graduated from ECSU, her dream job was to teach Spanish to young children. She is excited to finally realize that dream and share the Spanish language with young and developing minds. Jacky has combined her love of Spanish, music and children and is excited to be teaching Canta y Baila Conmigo® for the Music Together program in Cheshire. Ana began her art-filled life as a young child in Colombia. She has always been surrounded by music and has a deep love of culture. She also has an incredible talent for painting, drawing, designing and the visual arts. Ana has a degree in interior design and loves making art. Ana moved to the United States in 2010 and started a family in the following years. 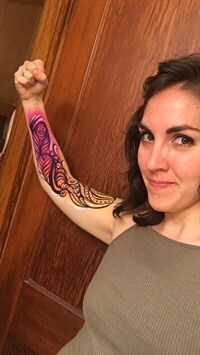 In addition to being a wonderful musician, Ana is an amazing face painter and body paint artist. Ana has been taking her daughter to Music Together classes and her experience as a mom brought her to the realization of how important it was to be raising her immersed in art and music. It helps in giving Winter a sense of her Latina heritage by supporting language development and experiences both in English and Spanish. Ana wanted to share these experiences with other families and started a Spanish immersion playgroup for her local community center & realized that teaching Music Together's Canta y Baila Conmigo® program was the perfect fit for her. Ana attended the teacher training for CYBC in New Jersey and is so excited to be teaching this wonderful program for Musical Folk. We are so fortunate to have Ana Ughetti as part of our teaching team and you will love having her as your teacher! Alicia’s Music Together journey began in 2015, soon after the birth of her son. Long before she discovered the joys of Music Together, she always had a special relationship with music. Some of her earliest and happiest memories are being gathered around the piano as a child, singing and harmonizing Christmas carols with her family. Her father had a large impact on her; he was a music teacher and aficionado who taught her to appreciate a wide range of music. As she grew, she continued to love and study music. She took piano lessons for 13 years. She participated in dance competitions and spent many weekends traveling to various parts of the country to dance. She learned to play many other instruments, as well, including the flute and piccolo. She was in her high school marching, jazz, and concert band as well as all types of choirs. When she got to college, her major was computer forensics but she continued her relationship with music. She performed in many musicals in college including Godspell, Cinderella, and Bye Bye Birdie. Most recently, she has begun learning to play the ukulele. Music Together has allowed her the opportunity to explore her love of music with her two children, Connor and Amelia. Both of them have attended many Music Together classes and have developed a love of music along with her. Alicia's energetic and enthusiastic teaching style makes her so engaging to children and adults alike.